As an iPhone or iPad user, have you ever lost or had your iPhone/iPad stolen? And how did you deal with it? I have never had this kind of experience, but I suppose, almost everyone who lost iPhone want to get it back. One month ago, I had impulse to write something when I read the news from WSJ which revealed Apple and other electronics has become the target for most of the thieves. Yet, I was so busy that until today I could find the time to collect some tips about how to track lost/stolen iPhone 5S, as well as something you can do even if your iPhone lost forever. It is less likely to find stolen iPhone 5S on iPhone by simply report to the police, but always good to increase the chances. 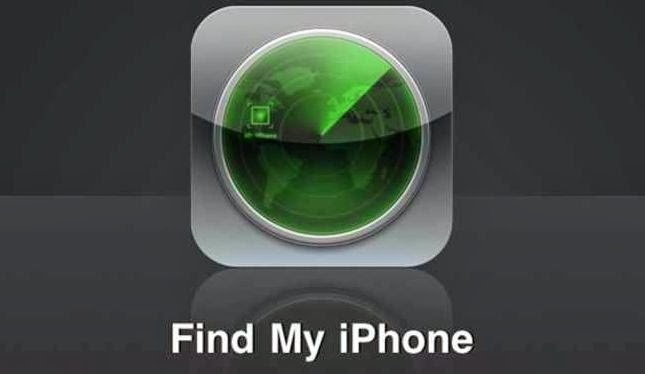 Find My iPhone is an app on your iPhone to check where your iPhone is. Moreover, with the help of Find My iPhone, you can lock your iPhone 5S to prevent the thief read the information on your Phone. Don’t rejoiced too soon, above all, make sure you have enable Find My iPhone app on your iPhone before lost or stolen. Step 1: Enter https://www.iCloud.com in your web blower or simply click the link if you use other iOS device which installed Find My iPhone, then login with your iCloud ID set up on the iPhone 5S you lost. Step 2: Find My iPhone will automatically to locate your lost iOS device once your log in. If the thief turned off your iPhone 5S, then the map will display the last location and the location will be updated once the iPhone turn on again. Play Sound. Sometimes, you are just so careless that put your phone in the home or your friend’s house that you thought you have lost it. In this case, you can click Play Sound the send a sound to the iPhone that you can find it immediately. Lost Mode. Be afraid of the intimately private data on your lost iPhone will let out? Don't worry and Lost Mode option enable you to lock your device screen remotely even if you haven’t set up password before. Erase. It is easy to understand, yep, Erase button is able to delete all your data on lost device if you still worry about the data security, after all, someone could break the iPhone screen password. Haven’t enabled Find My iPhone before the device was lost? Or even you have done the instructions above but still can’t find lost iPhone 5S? Do not be glum, and there is still something you can do after lost your iPhone. - Activate Find My iPhone app on other iOS Device. Can I track stolen iPhone without find my iPhone? No, it can’t be true at least for now. Therefore, it is better to enable the app just in case. # Download “Find my iPhone” from App Store on your iOS Device and install it. # Tap Settings-> iCloud, then login with your Apple ID. If you do not have one, just hit “Get a free Apple ID” to get a new iCloud account. # Roll to the bottom of the iCloud menu to allow Find My iPhone app. -Recover lost data after iPhone 5S was stolen or lost. With the help of Find My iPhone, you can prevent others access your iPhone and even delete all the files. But if those data in lost iPhone means a lot to you, like WhatsApp messages, contacts, text messages, notes etc. you should extremely want to get it back, then any way to recover stolen iPhone data? As long as you have backed up iPhone data before, the answer is absolutely YES! Here is a look at: Recover iPhone Data from iTunes or iCloud Backup.